Use of Force as a Professional Bodyguard - do you know the law and know your rights? Many of us who work in the Executive Protection industry are seasoned professionals with an array of backgrounds. Some of the delusions that are suffered are that we know it all because we have either been in the industry for a long time, and/or been trained in a martial art of some discipline, so can handle ourselves. All of the above is great and hats off to all that are in the above bracket. However, with the ever-changing environments and evolvement of criminal activity in the last few years, it is imperative we constantly revisit our personal use of force assessments, as well as third-party protective ones. This blog article is aimed at bodyguards to highlight considerations used in decision-making, in relation to use of force and its relevance, as this is sometimes overlooked. What was your decision-making process? If you use force as a Bodyguard, have you failed? We all know that you will have a few short seconds to react to a threat, but, should you be asked to justify your actions in court - could you do that? Firstly, what models do you use? There are many models that close protection operatives put into practice. These range from conflict resolution and conflict management models, to use of force continuums – the list goes on. These models evolve bringing in ever-changing Standard Operational Procedures. The base of the model remains the same, but the intricacies evolve. Why? Well, we are all adults and now live in an ever-litigious society. In Laymans’ terms, it’s what some like to refer to as the constant that is LACE (Legal Arse Covering Exercise). Yes, you may chuckle but in essence that is the rudimental rawness of the situation. Everyone has a phone-recording device, so it’s not just big brother who is watching - you must be able to justify your actions. 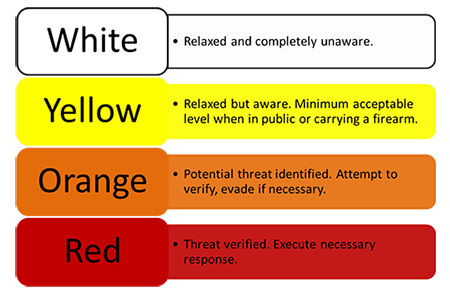 One of the models that lends itself well to Executive Protection is that of the ‘National Decision-Making Model’ (NDMM)- primarily, because it fits in line snuggly with the Information, Intent, Method, Administration, Risk Assessment, Communications and Humanitarian Issue (IIMARCH) briefing template that is used by Police and emergency service commanders. This way, it’s integrally sewn into the memory from two angles, which are intrinsically one. The National Decision-Making Model (NDMM) and how this useful tool may be used in security assessments, consultations, surveys etc. All of the above revolves around the organisation(s) mission statement – hopefully you have one. For those who say they don’t, guess what? You do! You may not have codified it, but you work around a set of goals and ultimately ingrained set of ideals – especially in the protection world. The model starts with the most important factors: Information and Intelligence. This is key at each stage, because it's ever-evolving with the progression of the task, consequently, affecting the Threat Assessment dynamism. We now link that in with use of ‘force continuums’ as you are on task with the principal. We must consider ‘POP’ (Person, Object, Place) within the NDMM. Are you working in a team or as a lone Personal Protection Officer? Your ‘actions on’ will vary accordingly, especially when numbers are involved. The questions are: Have you planned or trained for it? And, have you briefed the client or principal? POP helps link the situational awareness to the task presented. It provides the considerations of what we deem as warning and danger signs. 'Warning signs' are the queues, the build-up, or indicators - these are the items we list in our verbal and written statements of incidents. 'Danger signs' are the ones that mean it’s in full swing – this is a crucial time, as third-party protection is something that can be scrutinised that little bit more when providing protective services. These written statements are your reasons outlining your justifications and preclusions, and, are your get out of jail cards if force is used. It must be remembered that unless you are law enforcement / government who have different legislative use of force powers, as civilian security in the UK, we are bound by the any person powers. Specifically, the Common Law and Section 3 of the Criminal Law Act (1967). Without quoting chapter and verse of each, as professionals, you should have the above ingrained into your brain if you operate in the UK. So, within your training and preparation, ask yourself what is reasonable in the situation when protecting the principal? What action is justifiably viable or measured, just enough to help you get you and your principal out of there and to a safer location? The art of body language and communication is your first best option for low level compliance - this is where the use of force is interesting. Some clients/principals want overt Executive Protection. This a double-edged sword in the civilian world, as you will invariably attract attention. Secondly, it identifies you, and not only your client to the perpetrators. Essentially, we adapt to the environment, even if you are overt. This avoids undue escalation or getting ‘hands-on’ unnecessarily. If played on the moped scenario – think of your team and principal placement, and realistically this is where you apply the POP assessment to the threat. Other jurisdictions have other laws, but the same process of decision-making can still be applied. An interesting question linking the third aspect of the NDMM comes into play now - what is your organisation(s) policy in relation to the Law? i.e. your Powers. Which ones do you adhere to? The answer is the Law, as breaking it can result in a longer lasting imprint on your future – and not just in the security industry. Your principal may ask you to do the extreme and break the law, this is where you must brief your principal at the start, and frequently during the task about what options and limitations exist. The importance of reviewing your company/organisation’s policy, in relation to force, now comes into play, because the next stage is tactical options. As you can see from reading this, the component parts of the model are ever-revising, as they are linked to your aims and objectives, which in the protection world, can change imminently – so think dynamically. Utilising POP, we apply the actions aspect. Most of the times you apply this or similar models, so much so, the principal will not even be aware that you have made all those decisions. The important thing is that ‘you’ know that the application and execution of your duties have remained within the confines of the legal system or jurisdiction you are operating under at the time. Thus, we come to the last aspect of the model listed – the review/debrief/conclusion/lessons learnt/new info-intel etc. However, it's technically not the last, as the model is ongoing, as listed earlier. It is an organic cycle, in the sense that our actions put more meat on the bone. So, make your briefings tight, make sure your information and intelligence is on point, as it will determine the play of the rest of your actions. 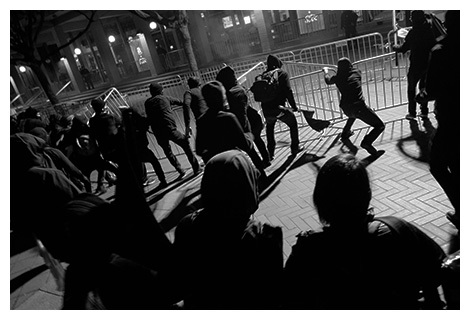 In terms of actual physical force applied in Executive Protection, there are subdivisions, such as: What part of Executive Protection are you performing? As a Media Close Protection Team, you may have to use your knowledge skills to cordon off areas or routes, using methods which may include: blocking with physical presence, hand and arm movements and also verbal requests. There will always be that individual who wants to cause a problem – these will normally try on purpose to ram through, especially in public areas. Here, you will have to apply those blocking techniques, along with ushering the principal to the side or a compressed route. Most Corporate Executive Protection is more covert, as they don’t want to attract attention. As always, it is the transit points that are the vulnerable areas where the physical aspects may be required. This is where third-party protection must consider the ‘Cooper colour codes’, not only for you and your team, but also for the principal whist under your protection. Other areas of Executive Protection also include watching for petty criminals (pickpockets), both domestically and overseas - sometimes this converts into Protective Surveillance. Here, you may elect to go in ‘hands-on’, if you see a gang or person that physically targets and engages your principal. A sense of ‘profile offender behaviour and behavioural detection’ comes into play. A perfect example of going ‘hands-on’, is a pickpocket going for your principal’s handbag or wallet. Yes, I hear you all say: “I would brief my client and principal” – correct, as most do. However, the reality of them putting this into practice is really quite different. In the above scenario, based on the situation, you may go into a push, grab, hold, move (on either your principal or assailant, as your primary role is to be the buffer and not to ‘beat seven bells’ out of them. If you do engage, your actions must be PLAN (Proportionate, Legal, Auditable and Necessary). Using this as a guide, you are bound by the any person powers, again, as per Section 3 of the 1967 Act and nothing else. Hence, choose wisely when and if you choose to interject. The reality is that the majority of time, as professionals, we would place ourselves in the preventative position, before one gets to the altercation stage. So, one must distinguish within the situation, as to whether it is best to utilise use of force, or show of force – i.e. presence or practicable adaptability to what is presented. Back to one of the original questions we posed: “If you use force as a Bodyguard, have you failed?”. That is a question that only you can answer - you must be able to justify your actions and your decision-making in court if necessary. Insight is a wonderful thing, split second reactions on the ground can be career ending and could end in a custodial sentence. This topic has many permutations, which we hope to cover in future articles, but without doubt the above topic is very apt, given the modus operandi of mobile criminals and lone attackers in recent times. The aim of this blog is to aide and remind us of the processes to consider whilst we operate - and to do it safely! The below quote summarises perfectly the spirit of this blog.